Those requirements will determine the cost, how many National Guard troops will be deployed, how long they will be deployed, what their exact missions will be, their rules of engagement, and whether they will be armed, officials said. “We’re going to be guided by the dialogue that’s going on now between DHS and the governors, and then we’ll work that here internally,” said Joint Chiefs Director Marine Lt. Gen. Kenneth McKenzie. 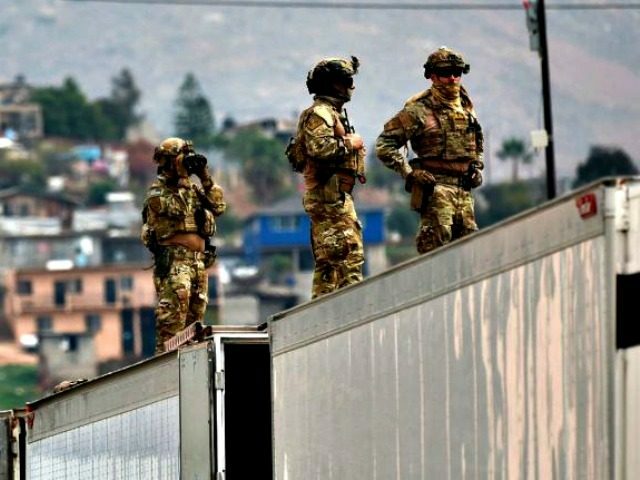 Officials said the National Guard members will act “in support” of border patrol agents who are performing law enforcement duties. The Pentagon anticipates that support will include aviation, engineering, surveillance, communications, vehicle maintenance, and logistical support. “Once we know the requirements, this department will move very quickly. This department will move very quickly to answer those requirements once they’re known in scope,” said McKenzie. White also said the Pentagon will also look at Defense Department-owned property along the border to see if security can be reinforced. White noted that the Pentagon is already supporting border security. She said in fiscal year 2017, the U.S. Army Corps of Engineers received $341 million from Customs and Border Protection to repair, replace, and construct the border fence, including 40 miles of fence in San Diego and the El Centro and El Paso Sectors. She said Northern Command and Joint Task Force North have also assisted in the seizure of eight tons of marijuana, while Joint Interagency Task Force South assisted in preventing more than 280 tons of cocaine from illegally entering the U.S.
She also said the National Guard in-state status provides counter-drug activities and executes training in the four southwest border states in support of U.S. Border Patrol deterrence operations. The DOD also supports the DHS with equipment and facilities, she said. White dismissed the suggestion that so few details about the National Guard’s role were known due to Pentagon and White House miscommunication on the issue.